Come join us on the wild, west coast for your next camping experience. We are located at the entrance of the Pacific Rim National Park and the UNESCO World Biosphere Reserve. 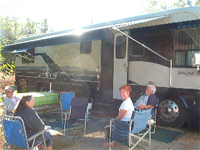 The campground is situated on 18 acres in the privacy and peace of the forest, but just 5 minutes from the town of Ucluelet and 5 minutes from world famous Long Beach and Kennedy Lake Provincial Park. 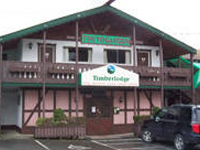 Locatd on outskirts of Port Alberni near downtown within 5 minutes, the Timberlodge is noted for courteous personal service. 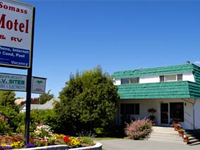 Indoor heated swimming pool, sauna, 22 motel rooms with Fridge, Cable TV & Free local Call, and 24 R.V. 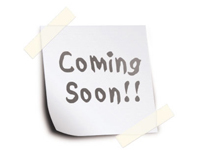 Sites with full hookup, also 50 amp available.